Happy New Year from SimplePart! 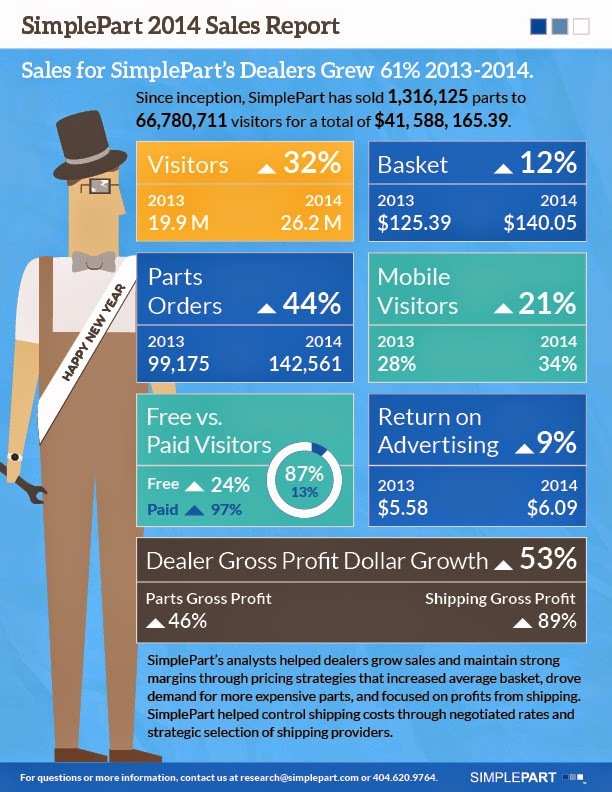 2014 was a strong year for online parts sales, as well as for SimplePart. We evolved a great deal to keep up with that growth, and to continue to offer the industry’s best service. We found ways for our websites to generate more orders from each visitor (+10%), bring in new visitors and help streamline back-office operations to minimize expenses. We look forward to continued growth and success in the coming year.